As the NFL’s top teams prepare for the playoffs, those at the bottom of the heap are gearing up to attack the draft. Some will fire coaches and general managers. Some need to add a few key pieces. Some need to rebuild the roster. And some appear too broken to fix any time soon. It would be easy to take a look at the standings and list the worst records in order when compiling this type of list. But that’s not what we’re doing here. The teams we’re focusing on here are in need of a transformation. Teams that are dealing with rotten framework from top to bottom. The following are most dysfunctional franchises in the NFL. Starting all the way at the top with owner Jim Irsay, the Colts are the NFL’s version of the Mad Hatter. 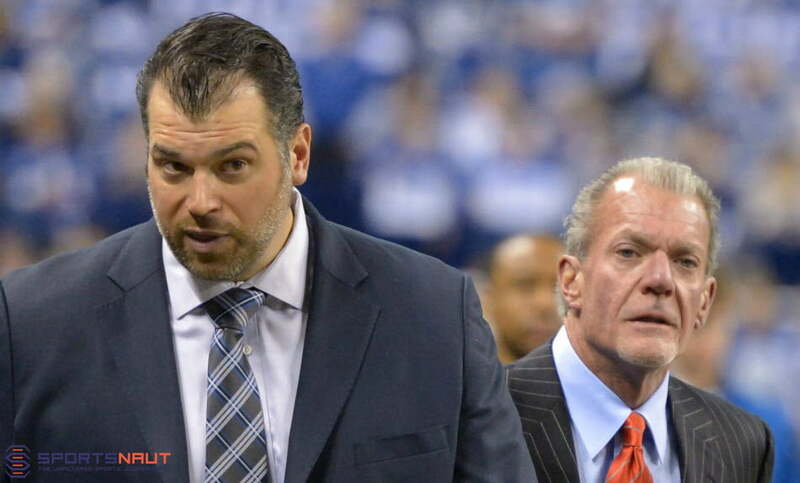 Irsay had a chance to right some wrongs last offseason when it was heavily rumored he would finally cut ties with head coach Chuck Pagano and/or general manager Ryan Grigson. Rather than take that leap, however, the owner doubled down on a bad hand by giving both men extensions. The result? Indy missed the playoffs and failed to post a winning record two years in a row for the first time since the late 1990s. As inspirational as Pagano was for the franchise in 2012 when he successfully fought cancer, he has never been able to develop the talent that he does have on his roster. Speaking of the roster, Grigson has continually failed to provide young Andrew Luck with the protection he needs up front to succeed long term. He has also failed to draft well on the defensive side of the ball and has a penchant for overspending on free agents who don’t pan out. It’s no accident that the franchise has gotten more talent-poor every year since Grigson took over — 2012, which was Luck’s rookie year. If the Colts have any chance at all of salvaging the best years of Luck’s career, then both Grigson and Pagano must be shown the door. They don’t work well together (more on that here), and Colts fans can give you a laundry list of incidents in which Pagano utterly failed with in-game decision making. But we’re not holding our breath waiting for Irsay to make that call. 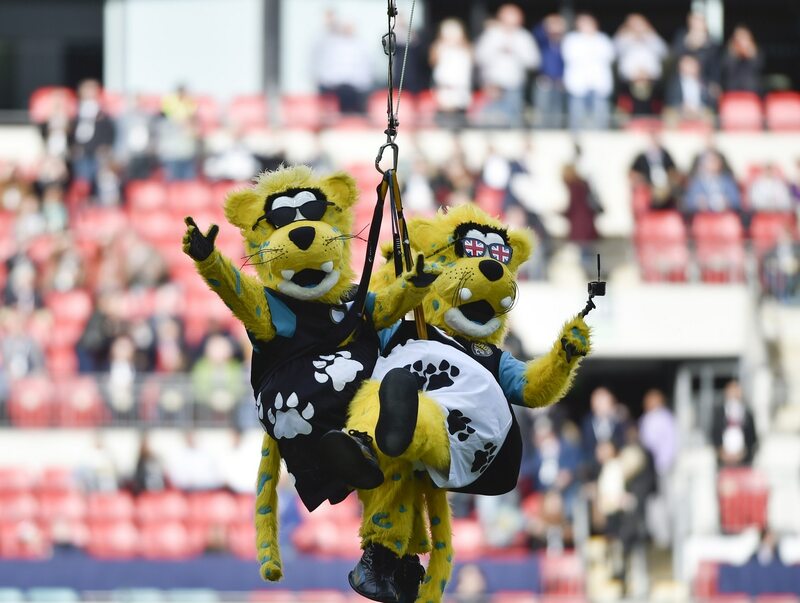 The last time the Jaguars posted a winning record, George W. Bush was halfway through his second term, “Spider-Man 3” was the highest-grossing movie and the Writers Guild of America went on strike against TV and movie production studios. The year was 2007. Since then, Jacksonville has fired three head coaches while posting a combined record of 42-101. After finally axing Gus Bradley, who went 12-48 in almost four years, there might finally be some light at the end of the tunnel for the Jags. Especially considering it looks like Tom Coughlin will be involved, either as a head coach or top executive. But one thing that could be bad news is that general manager Dave Caldwell remains on and will have a big role to play in the team’s direction moving forward, including deciding the next head coach (more on that here). Also, players were upset when they found out that Bradley had been fired through the media, and that the team had Bradley fly back to Jacksonville on the same plane after he’d been fired. It was one big, steaming pile of dysfunction, but not at all surprising given the direction of the franchise the past decade. Ah. Where to start? 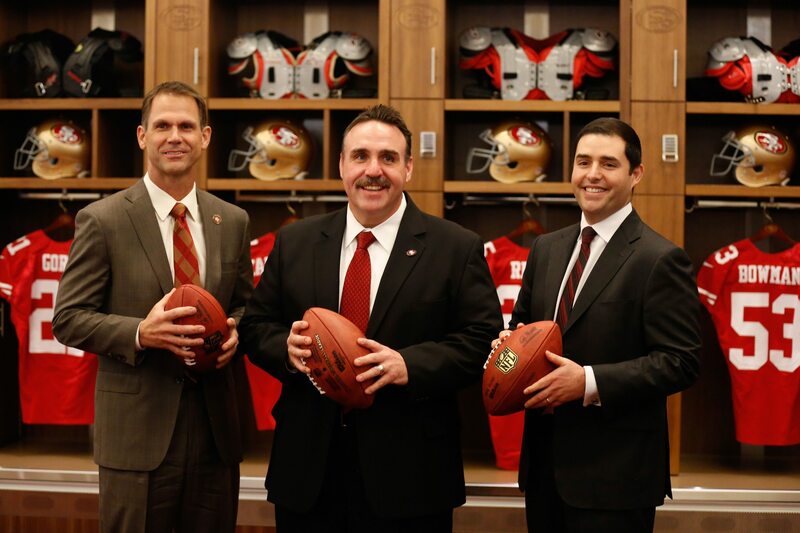 Shall we start with CEO Jed York, who may or may not be getting some power stripped away from him this offseason? Shall we start with general manager Trent Baalke, whose drafting methods have slowly, methodically made the 49ers worse? He admitted recently that he’s to blame for the team’s quarterback woes (you think?). And don’t forget he and Jim Harbaugh clashed badly, forcing the best thing to happen to the franchise in a decade out the door. Shall we point to Jim Tomsula as the guy who was supposed to resurrect the franchise last season? Or Chip Kelly, whose offensive philosophy kills any chance of featuring a respectable defense? The answer to these questions is one big resounding yes. Since the franchise’s ridiculous decision to fire Steve Mariucci due to (surprise!) a clash with a general manager back in 2003, the 49ers have experienced just three winning seasons — all during Harbaugh’s tenure. Harbaugh is now happy coaching up the kids at Michigan, while it’s time to go back to the drawing board for the 49ers. The problems that persisted during the Rex Ryan era continue to this day now that Todd Bowles is in charge. The Jets feature a fractured locker room. The lack of togetherness led to Geno Smith’s broken jaw last year and is illustrated by players calling each other out through the media as recently as this past weekend (more on that here). Then there is the matter of poor personnel decisions, which happened continually during the John Idzik era and have continued now that Mike Maccagnan is in charge. The Jets feature a turnstile offensive line and a defensive secondary that couldn’t stop a pregnant pig from making big plays downfield. Oh, and they still don’t have a franchise passer, a problem that has persisted since Joe Namath’s tenure. Owner Woody Johnson likely wields too much power when it comes to decision making. 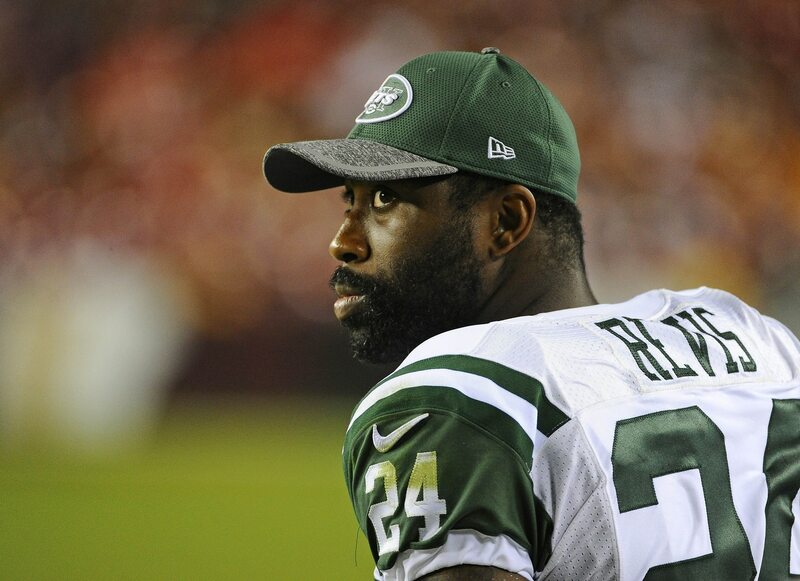 He needs to get out of the way completely, lest another Darrelle Revis situation occur in the coming years. At this point, it’s impossible to know how much of the blame for New York’s poor performance this year (4-11) falls on head coach Todd Bowles. He’s been put into an impossible situation, especially being in the AFC East competing with Bill Belichick and the New England Patriots. What we do know is that the Jets haven’t strung together double-digit win totals in two consecutive years since the mid-1980s and aren’t likely to break that trend any time soon. Though the Chargers have experienced more recent success than many teams on this list, there is no shortage of dysfunction surrounding this franchise. Notably, the team has a track record of being ridiculously obtuse when it comes to contract negotiations with key players. This was seen in two huge instances the past couple of years. Eric Weddle, who is one of the NFL’s best this year and has been for years, made it clear he’d never speak to the Chargers after they refused to pay him before his contract was up this past offseason. Then the team’s negotiations with rookie Joey Bosa’s agent led to an extended holdout, and the pass rusher missing four games to start the season. The Chargers also ran future Hall of Fame running back Ladainian Tomlinson out of town back in 2010, and LT made it clear that then-general manager A.J. Smith had disrespected him. On top of that, the late, great Chargers linebacker Junior Seau felt like he was unwelcome before he bolted to join the Miami Dolphins. San Diego also fired Marty Schottenheimer after he led the team to a 14-2 record but lost in the playoffs. Nowadays, the Chargers are looking at a probable move to Los Angeles because their home city won’t help pay for a new stadium, and fans have abandoned them during home games — a situation Philip Rivers recently lamented. With head coach Mike McCoy presumably on his way out, perhaps things will change for the better. Probably not, though. Unless you’ve been trapped in a cave somewhere for the past few decades, you probably don’t need a ton of information to understand why the Browns — aka a Factory of Sadness — made this list. It’s been 14 seasons since Cleveland made the playoffs, and they lost in the Wild Card round that year. It’s been since 1994 that the Browns won a playoff game. And you have to go back to the 1980s to find a period of consistent competence. The Chargers might be interested to know the coach during that period was none other than Schottenheimer, but we digress. The team’s inability to land a franchise passer has a lot to do with its inability to feature a winner, something that’s been illustrated beautifully on a jersey that is altered every time Cleveland throws another quarterback to the wolves. 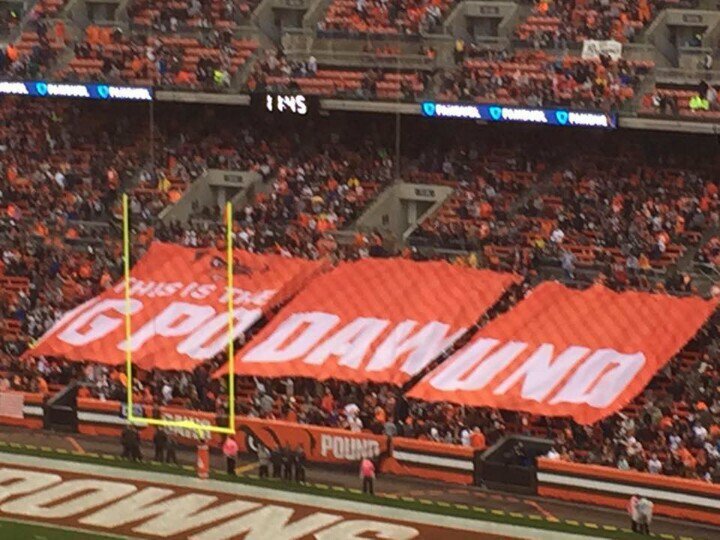 Browns fans have long learned not to get their hopes up. But perhaps, just maybe, the team has finally got the pieces in place to reform the losing culture in Cleveland. With a Moneyball personnel crew in place and the highly regarded Hue Jackson in place as the head coach, the Browns might be on to something. Now it’s time to find that elusive quarterback. Ask people in St. Louis about the Rams and owner Stan Kroenke and you aren’t likely to hear anything good. And for good reason. In addition to the fact that the Rams have descended into the NFC’s basement since Kroenke became the full owner of the franchise back in 2000, there is no shortage of hatred for the way he moved the franchise out of St. Louis. Fans in Los Angeles don’t have much reason to be excited about the Rams, either. Perhaps all you need to know about the fate of this team in 2016 is that the Rams are the only team the 49ers have beat, and they did it twice. The Rams also held onto head coach Jeff Fisher for a few years too long, finally firing him this year after extending him two years before the season. General manager Les Snead has also done a horrible job putting together a competitive roster, and his move to give up the farm for Jared Goff might have crippled the franchise for years to come. Featuring an offensive line that can’t protect quarterbacks or make running lanes for talented running back Todd Gurley, not to mention a receiving corps that scares nobody, the Rams are talent poor on offense. We sure hope, for Goff’s sake, that things turn around quickly. If not, it’s going to be more misery for the Rams in the years to come. The Pittsburgh Steelers and Baltimore Ravens have combined to win four championships since the turn of the century. Their AFC North Rival Bengals, on the other hand, haven’t won a single playoff game since the winter of 1991. 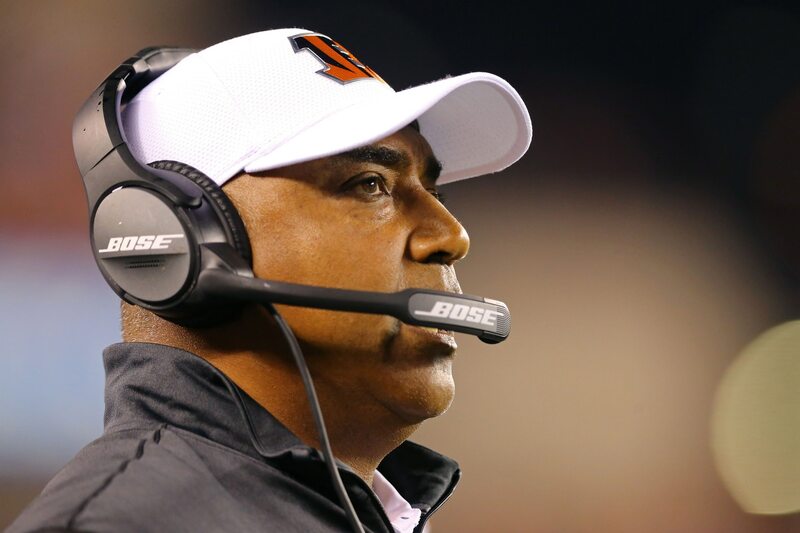 Owner Mike Brown, son of Paul Brown, has been steadfastly loyal to head coach Marvin Lewis, who has a career record of 117-103-3. He’s never won a playoff game, losing seven games in the Wild Card round. Lewis also has a track record for taking on players with questionable off-field character and for allowing players to misbehave on the field without much public criticism, if any at all. Perhaps even more telling in respect to his ability to lead his team is Lewis’ home record against the hated Steelers. In addition to his continual defense of Lewis, Brown has also been notoriously stingy with his checkbook. One of the most prominent examples of this is how everything went down between the Bengals and Carson Palmer. The Bengals also allowed two of their top receivers to bolt in free agency just this past offseason, and even when A.J. Green was healthy the offense wasn’t nearly as consistent because of those losses. Capping off all of this is the way Cincinnati has performed this year, going 5-9-1. If ever Brown had a good excuse to finally fire Lewis — the second-most tenured coach in the NFL behind Bill Belichick — now is the time. Rex Ryan is all but gone after two mediocre seasons in Buffalo, something that comes as a shock to pretty much nobody. The Bills were scrambling after Doug Marrone mysteriously quit following the 2014 season, and Ryan kind of fell into the job after being fired by the New York Jets. But he’s never been a great head coach. After his last couple of jobs in that position it seems unlikely he’ll land with another team unless it’s as a coordinator. Marrone had just guided the Bills to their first winning season in 10 years when he bolted under bizarre circumstances. Buffalo has not been to the playoffs since 1999 — the longest drought in the league — and hasn’t won a playoff game since 1995. Bills fans certainly hoped things would turn around when Terrence Pegula and his company, Pegula Sports and Entertainment, bought the franchise in 2014. But news this year that ownership had been talking to players behind Ryan’s back about former offensive coordinator Greg Roman signaled a high level of dysfunction. After another failed season, the Bills are going to have to go back to the drawing board, not to mention find a quarterback who can be the long-term solution.